I love girls with an attitude. And a fringe. Japanese Businessman: Do you like Ferraris? Go Go Yubari: Ferraris… Italian trash. Go Go Yubari: Do you want to screw me? Go Go Yubari: Don’t laugh. Do you want to screw me, yes or no? Go Go Yubari: How about now, big boy? Do you still wish to penetrate me?… Or is it I who has penetrated you? 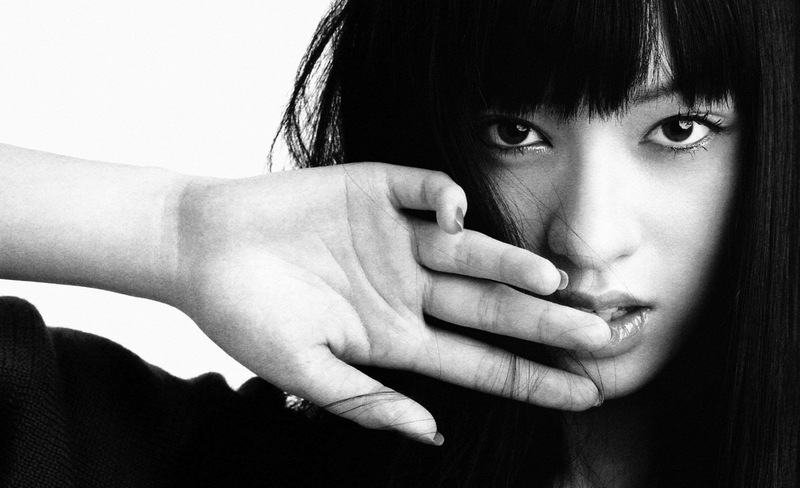 Chiaki Kuriyama (栗山 千明) is a Japanese actress, born in 1984, who — at age 19 — played Go Go Yubari in Quentin Tarantino’s movie Kill Bill, Vol. 1. Go Go is s a bloodthirsty severely disturbed 17-year-old schoolgirl who takes a sadistic delight in killing. She is O-Ren’s top assassin and personal bodyguard. a nineteen year old Lady Gaga, a young Sophie Marceau, and Zooey Deschanel.